A wonderful blend of soft alpaca, fine wool and recycled sari silk. 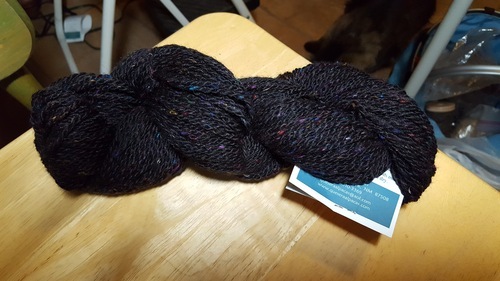 I really like the way this yarn works up, has a nice handle and good body. A good substitute for wool tweed.